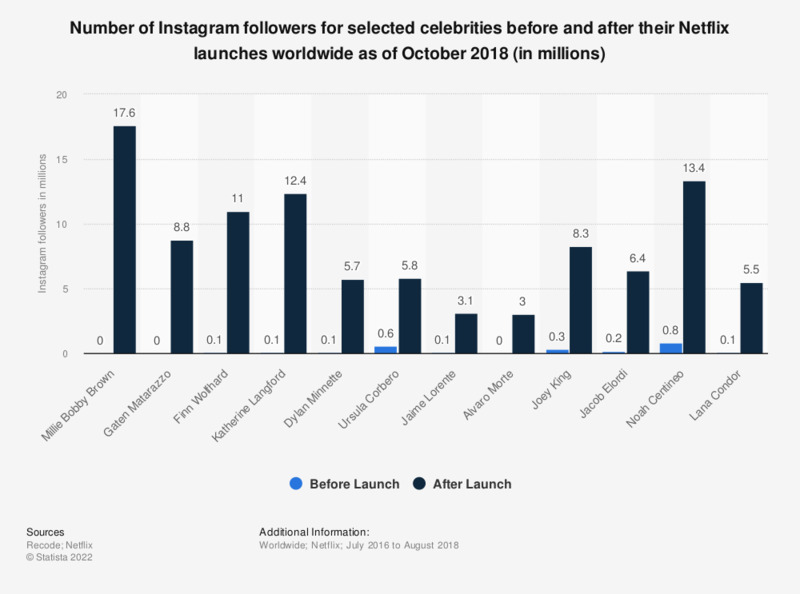 This statistic presents the number of Instagram followers for selected actors before and after their Netflix launches worldwide as of October 2018. According to the findings, actress Millie Bobby Brown had a significant increase in her Instagram follower amounts after her debut on the Netflix series Stranger Things, going from zero to 17.6 million followers during the measured period. Before Netflix launch amounts of Instagram followers varies for each celebrity ranging from dates July 2016 to August 2018. After Netflix launch Instagram followers based on amount as of October 4, 2018.